Does your child love animals? This height chart wall sticker is perfect for decorating their bedrooms in a way that they will love! 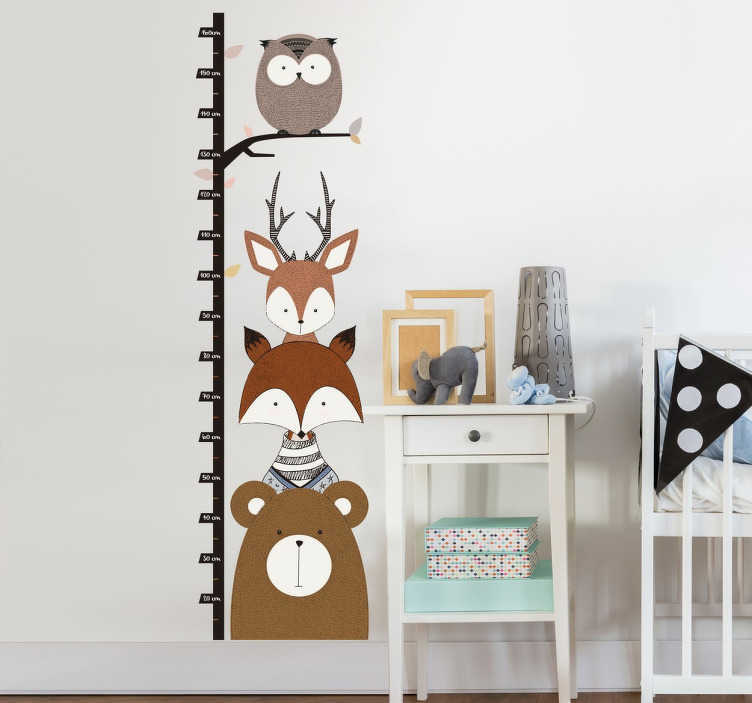 Keep track of how quickly your little one is growing while also decorating in a fun way with this fun height chart sticker. A great design of woodland animals such as bears, deer and owls, complete with an accurate centimetre height chart. Great for decorating nursery rooms or bedrooms. Easy to apply on any flat surface and remove without leaving any residue. Made from high quality and anti-bubble vinyl.